It was quite a sight to the delight of all who experienced this remarkable moment in space history – that could one day revolutionize space flight by radically slashing launch costs via recycled rockets. The boosters nine first stage Merlin 1 D engines were wrapped in a protective sheath during the move as seen in the up close imagery. The SpaceX Falcon 9 had successfully conducted a dramatic propulsive descent and soft landing on a barge some 200 miles offshore in the Atlantic Ocean on April 8, about 9 minutes after blasting off from Cape Canaveral Air Force Station at 4:43 p.m. EDT on the Dragon CRS-8 cargo mission for NASA to the International Space Station (ISS). 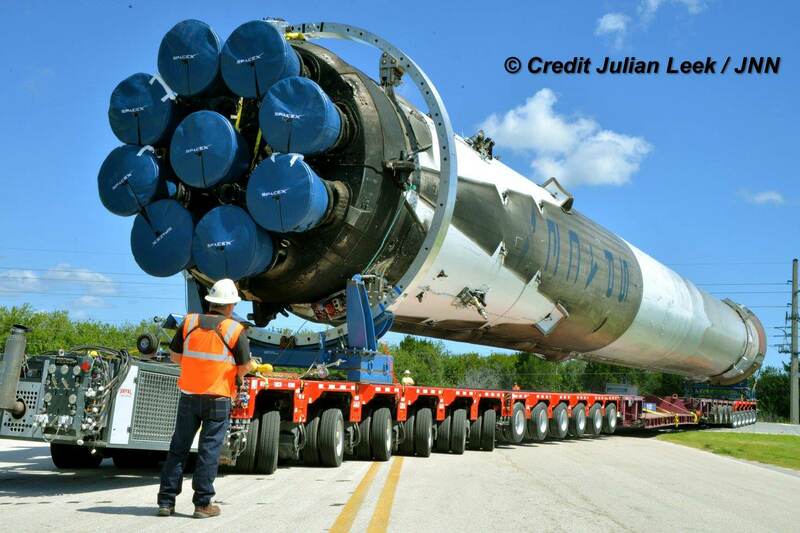 The used Falcon 9 booster then arrived back into Port Canaveral, Florida four days later, overnight April 12, after being towed atop the ocean going platform that SpaceX dubs an ‘Autonomous Spaceport Drone Ship’ or ASDS. The spent 15 story tall Falcon 9 booster was transported to KSC by Beyel Bros. Crane and Rigging, starting around 9:30 a.m.
After initial cleaning and clearing of hazards and processing to remove its four landing legs at the Port facility, the booster was carefully lowered by crane horizontally into a retention cradle on a multiwheel combination Goldhofer/KMAG vehicle and hauled by Beyel to KSC with a Peterbilt Prime Mover truck. The Falcon 9 was moved to historic Launch Complex 39A at KSC for processing inside SpaceX’s newly built humongous hanger located at the pad perimeter. 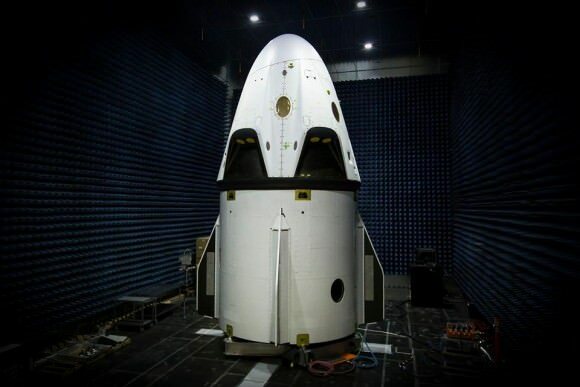 Indeed this Falcon 9 first stage is now residing inside the pad 39A hanger side by side with the only other flown rocket to be recovered; the Falcon 9 first stage that accomplished a land landing back at the Cape in December 2015 – as shown in this image from SpaceX CEO Elon Musk titled “By land and sea”. SpaceX engineers plan to conduct a series of some 12 test firings of the first stage Merlin 1 D engines to ensure all is well operationally in order to validate that the booster can be re-launched. It may be moved back to Space Launch Complex-40 for the series of painstakingly inspections, tests and refurbishment. Whenever it happens, it will count as the first relaunch of a used rocket in history. SpaceX has leased Pad 39A from NASA and is renovating the facilities for future launches of the existing upgraded Falcon 9 as well as the Falcon Heavy currently under development. 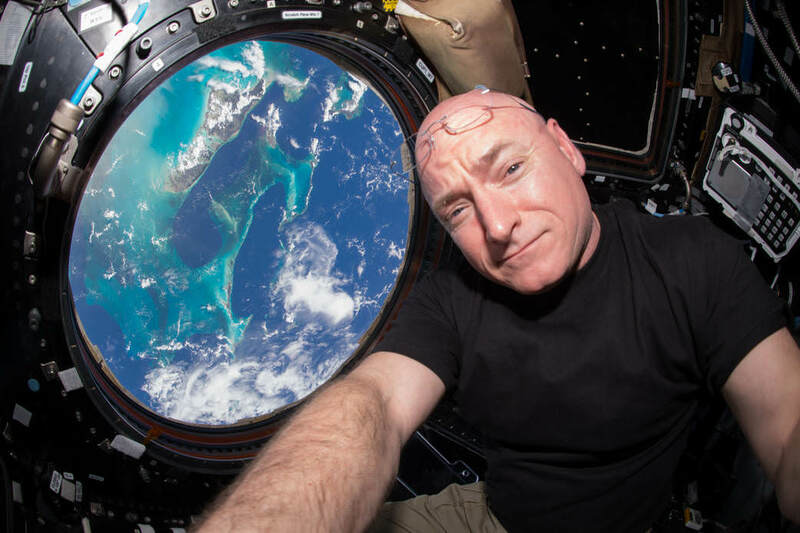 Landing on the barge was a secondary goal of SpaceX and not part of the primary mission sending science experiments and cargo to the ISS crew under a resupply contract with for NASA.